Uriel Kitron, chair of Emory’s Department of Environmental Sciences and an expert in vector-borne diseases, will travel to Brazil in February to support the country's research strategies and control efforts for the outbreak. The Zika virus, unlike other mosquito-borne viruses such as dengue, is relatively unknown and unstudied. That is set to change since Zika, now spreading through Latin America and the Caribbean, has been associated with an alarming rise in babies born in Brazil with abnormally small heads and brain defects – a condition called microcephaly. For the past several years, Kitron has collaborated with Brazilian scientists and health officials to study the dengue virus, which is spread by the same mosquito species, Aedes aegypti, as Zika. The focus of that collaboration is now shifting to Zika. Kitron will return to Salvador, the capital of the Brazilian state of Bahia, in February to support the country’s research strategies and control efforts for the outbreak. Since the Zika outbreak began in northeastern Brazil last spring, an estimated 500,000 to 1.5 million people have been infected. The resulting illness only lasts a few days. The symptoms, including a rash, joint pains, inflammation of the eyes and fever, tend to be less debilitating than those of dengue. As many as 80 percent of infected people may be asymptomatic. It was not until months after Zika cases showed up in Brazil that a spike in microcephaly births was tied to women infected during pregnancy. More than 3,500 microcephaly cases have been reported since October in Brazil, compared to around 150 cases in 2014. While Zika’s connection to microcephaly has yet to be definitively proven, the presence of the virus has been found in the bodies of five of the newborns that died with the condition and in the placentas of two women who miscarried babies with microcephaly. The Centers for Disease Control and Prevention has warned pregnant women not to travel unnecessarily to more than a dozen countries currently experiencing an outbreak of Zika virus, as well as Puerto Rico. The governments of Brazil, El Salvador and Columbia, meanwhile, are urging women to delay any plans of pregnancy. So far, the few known cases of Zika in the U.S. mainland are linked to people who had traveled abroad and were likely infected by mosquitos elsewhere. If Zika follows the same patters as dengue fever, however, states like Texas, Florida and Hawaii could experience small outbreaks transmitted by mosquitoes during the summer months. The Zika virus is named after an isolated forest in Uganda where it was discovered in a monkey in 1947. Only a handful of human cases were known until 2007 when it popped up in the Yap Islands of the southwestern Pacific Ocean, sickening thousands of people. In 2013 Zika appeared in French Polynesia and the following year in other islands of the South Pacific. Gonzalo Vazquez-Prokopec specializes in spatial analysis of disease transmission patterns and has several research projects for dengue fever ongoing in Latin America. Photo by Charlie Watts Photography. Although Zika outbreaks have coincided with a slightly increased rate of Gillian-Barre’s Syndrome, none of the previous outbreaks were associated with a spike in microcephaly births. The Brazilian Zika outbreak, first identified in May, is the largest ever. The cases are centered in the northeastern states of Paraiba, Pernambuco and Bahia. Zika quickly spread in the region, since the population had never been exposed to the virus, making it highly susceptible. Given the high rate of infection, herd immunity may delay future outbreaks for several years, Kitron says. Zika cases were initially confused with chikungunya, another virus transmitted by the Aedes aegypti mosquito that was introduced to Brazil and other parts of Latin America and the Caribbean in 2014. Zika, chikungunya and dengue viruses are all now circulating in Brazil. They cause similar symptoms, complicating clinical identification during outbreaks. And no treatments or vaccines exist for any of the three viruses, making mosquito control vital. 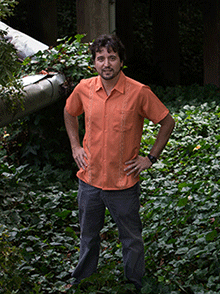 Aedes aegypti are like “the roaches” of the mosquito world, perfectly adapted to living with humans, especially in urban environments, says Gonzalo Vazquez-Prokopec, another disease ecologist in Emory’s Department of Environmental Sciences who studies vector-borne diseases. Vazquez-Prokopec specializes in spatial analysis of disease transmission patterns and has several research projects for dengue fever ongoing in Latin America. He is traveling to the Brazilian capital of Brasilia in February to assist the country’s vector control team as they continue to battle the outbreak through mosquito control. 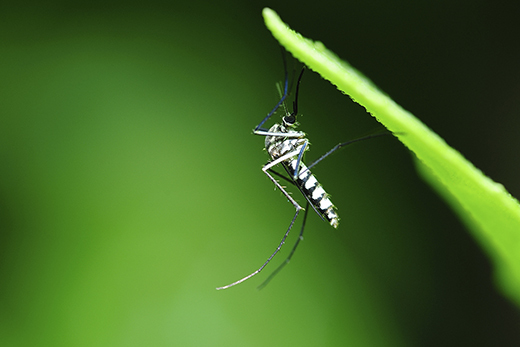 While mosquitoes that carry malaria only feed during the evening, the Aedes aegypti feeds almost exclusively on humans and bites primarily during the daytime.